Solartron ISA Averaging pitot tubes use multiple sensing ports to continually average the flow profile and generate a differential pressure that represents the mean flow rate across the pipeline. 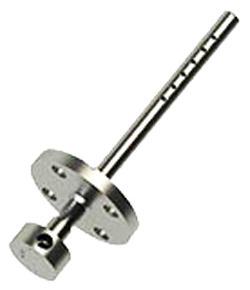 Averaging Pitot Tubes offer an accurate measurement and low permanent pressure loss, typically <10% of DP. There are two measurement principles and designs; High Flow have a single static pressure port outside of the flowing fluid region. This results in a lower DP and enables the accuracy figure to be sustained over a wider turn-down and at higher flow rates. Low Flow have a dual ports which are both within the flowing region. The position produces a suction effect at the ports which magnifies the available range of differential pressure, enabling the Averaging Pitot Tube to be used in low velocity systems. Solartron ISA offer the Averaging Pitot Tube design to suit the needs of any pipe-work configuration with different connections & orientations available. We provide complete Engineering support from initial design and sizing concepts to manufactured final products.